Vedic Period Questions for SSC: Early Vedic people had knowledge of rivers Yamuna, Saraswati and Ganga, Ocean mentioned as Samudra snow mountains and desert land. So, they lived in Sapta Sindva region. Aryans came into conflict with the indigenous inhabitants called 'Dasas' and Danyus. Dasyuhatya or slaughter of Dasyus is repeatedly mentioned in Rig Veda. 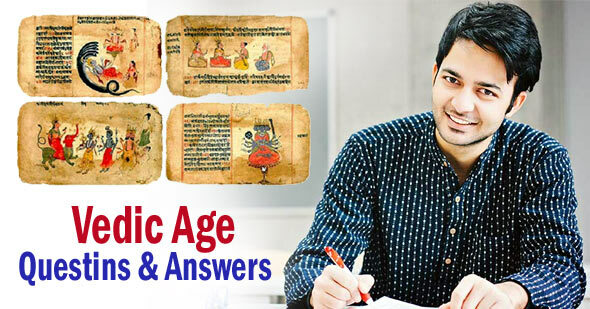 Vedic Period (1500-1000 BC) Objective Questions are helpful to crack competitive exams SSC, UPSC, Railways, IAS Exams. 10. Who was the eldest brother among the Pandavas?